Clear totes and purses are now required for access to most public venues, including concerts and sporting events. 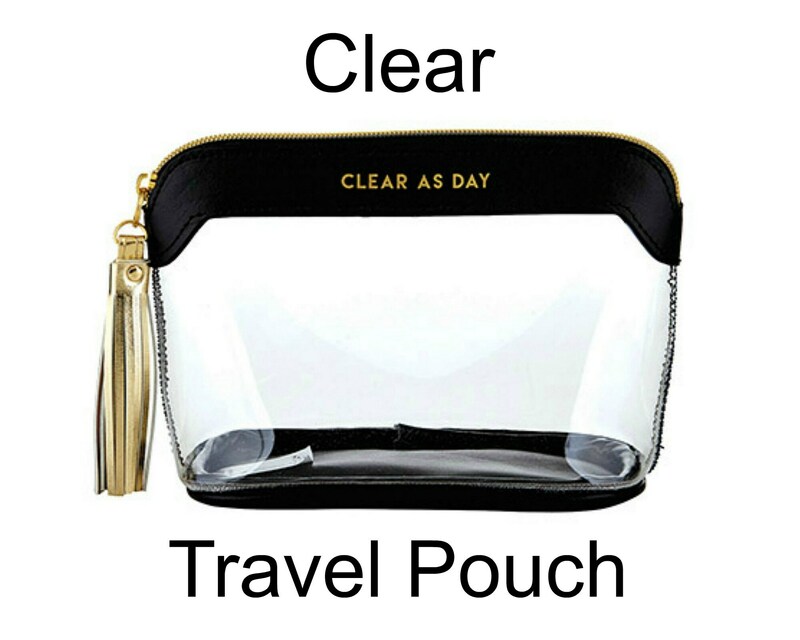 Be prepared for your next event with our Clear Travel Pouch! It's also great for packing in a suitcase for easy accessibility through airport security. -- 6.25" W x 4.75" H x 3.375" D with a gold tassel. Purse is compliant with the Clear Bag Policy intended to enhance public safety and improve access for fans.